Female patient, aged 32 with trauma in MVA on the 24th of May, 2001. Diagnosis: polytrauma (tear of pubic and right sacral-iliac joints, tear of urinary bladder, right shoulder dislocation, fingers' and nose fractures, closed cranial-cerebral trauma, large injuries of left knee joint). The patient underwent a surgical treatment, then she was taught to walk on crutches in order to stabilize left knee joint and to hold left foot individual orthesis. At the present time a post traumatic defect of lateral femoral condyle is observed. 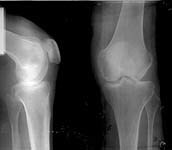 On the X-rays of left knee, a lateral femoral condyle defect is observed up to the 1/3 of the joint surface. 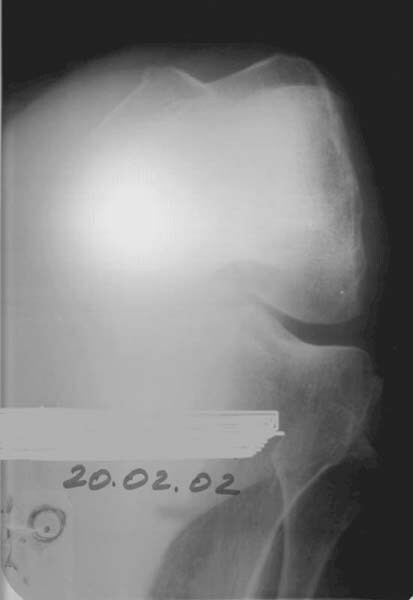 Clinical examination of left knee joint revealed moderate atrophy of the muscles of left femur and shin, moderate pain with palpation of the lateral joint line, pathological deviation of the shin to the outside up to 20 degrees at doing the clinical tests, accompanied by the appearance of moderate pain, motions in the knee joint are slightly restricted. Question: what is the defect treatment? 49 yr old man has excision of lateral tibial plateau for giant cell tumor. 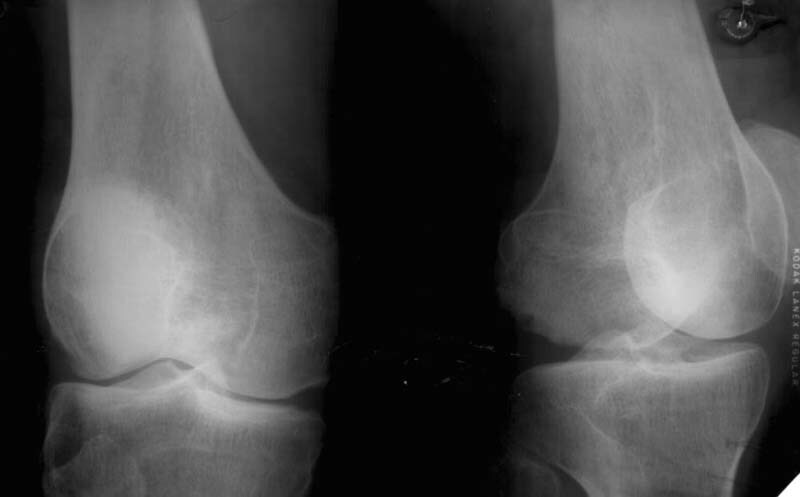 Without reconstruction @ 13 years the knee is completely stable, painless, with full ROM,. He can stand on the affected limb alone without discomfort. He uses no cane and has no limp. 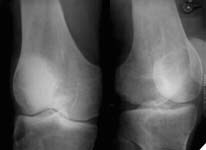 No xray signs of osteoarthritis or tumor recurrence.